Sewing darts is another one of those things in sewing that seemed so complicated and hard when I first started sewing. But as time went on and I got braver….I finally tackled darts. And again, I wondered why I was so nervous. But I guess seeing all of those markings on patterns, I was more than a little intimidated. There are lots of kinds of darts. The picture below shows a pattern with one dart, but there can also be bust darts, curved darts, or even double darts (that look like a diamond). But let’s start today with a basic one dart. This is my process…although you may find something that works better for you in the end. I learned this technique from a wedding dress designer and awesome teacher who was very efficient at sewing! And since I don’t like to mark every tiny thing on a pattern, I use it because it is FAST! Step 1: On the bottom of your dart, cut two tiny slits to mark the bottom of your dart. Step 2: Put a pin in the top of the dart. This is what the inside of your bodice should now look like…. Step 4: Put your two cut notches together (the bottom of the dart). Press. Either eyeball (like me) or better off mark a straight line from the bottom of the dart to the top. Step 5: Without backstitching, sew along your line and off the fabric. Leave some tail threads at the top end of your dart. Step 6: Take the two threads at the top of the dart and tie a knot. This will hold your stitches in place. Note–Some people like to backstitch their darts….I don’t. I think I don’t because if your backstitching isn’t perfect it will show. Some others like to backstitch within the dart itself…..just do whatever is the best for you! Step 7: I was taught to press the dart of a bodice toward the center (either center front or center back). Again, there may be people that disagree, but I think that they do lay better. And you are done! Any dart sewing advice? Do you do it differently? I would love to hear how it best works for you! Our Sewing Advice today is from our good friend Jessica at The Sewing Rabbit. 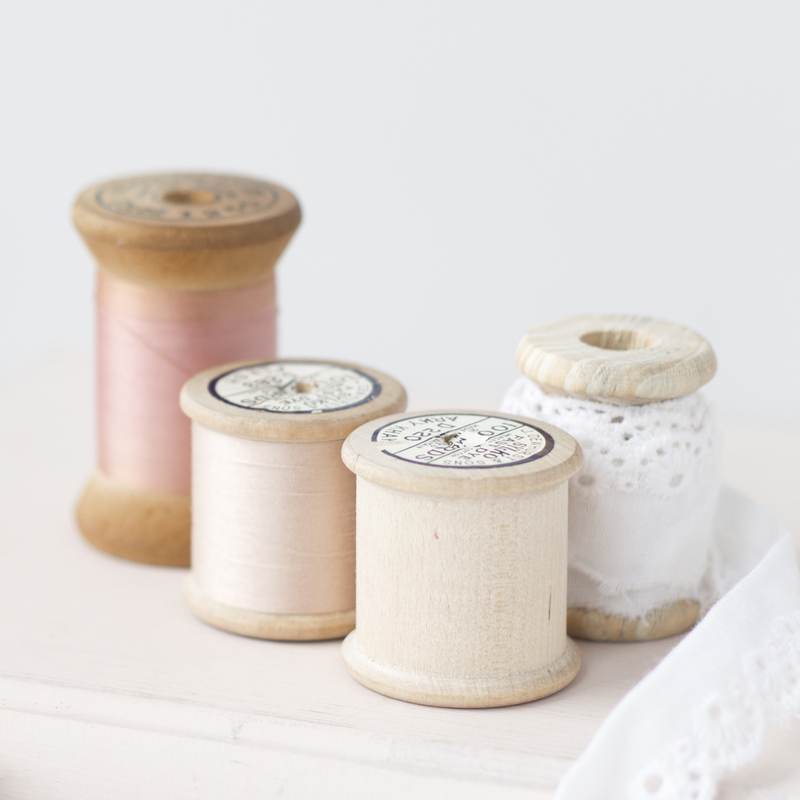 Here’s what she said she wished she’d known when she started sewing…. It doesn’t have to be perfect. And that’s ok. When I first started sewing, I always felt like a failure because of my uneven lines, skipped or uneven stitches and more. My skirts never looked like the store-bought versions, not even the $5 ones from the mass chain retail stores. And I felt deflated putting my kids in them sometimes, especially when someone asked if it was handmade. But guess who never noticed? My kids. In fact, they felt the exact opposite of what I felt upon wearing that skirt. They felt PRIDE. Pride that they were wearing something Mommy made them. So my advice is this. It doesn’t have to be ‘perfect’, to be perfect. Perfection, like beauty, is in the eye of the beholder. And over time, you will get better. Just keep at it. Seven years later, and my clothes still don’t look like they came from a store. And I am ok with that. I never thought to mark the point with a chalk pencil! My darts were never symmetrical; I always avoided darts when I could. Just saw your guys’ contribution to STYLO – I love it! The dresses are beautiful and those photos are amazing. Great work! Thank you for doing this, I have yet to sew a dart, zipper, I have done pockets, as a matter of fact when my one son was eight, he wanted an army outfit, so I had to make one from what I thought it should be, so I have designed before, and it turned out great, it had pockets every were, even down on the legs, he loved it, and it was a shore to get done as I worked 10 hour days but I was gone 12 hours a day, and then I came home and played mommy to three boys and a husband, and tried to sew when they would go out and play, so it would be a surprise for him, oh how I miss those times, now there all grown and my middle son has three children, my oldest and his wife, I don’t know that they will have any children, and my youngest is schizophrenic and lives with us at almost 30, he is still very much a teenager, but he is a character, very funny and helps me out, so now he has a purpose,.